How much is Kevin Windham Worth? Kevin Windham net worth: Kevin Windham is an American biker who has a net worth of $4 million dollars. Born in Baton Rouge, Louisiana, Kevin Windham began riding dirt bikes before he started kindergarten. He began competing while in elementary school, and has continued racing successfully to this day. He transitioned from amateur to professional in the early 90s, winning 18 consecutive races at Loretta Lynn's Dude Ranch, and winning his seventh and eighth amateur titles at the 1994 AMA Amateur and Youth National Motocross Championships. His luck in the amateurs did not follow him into the professional racing circuit, however, and though he is considered one of the best riders ever, he has never won a National Championship. Instead, he has consistently placed second. He has won a ridiculous number of major races, however, and has a massive fan base, as well as a Hot Wheels figure. 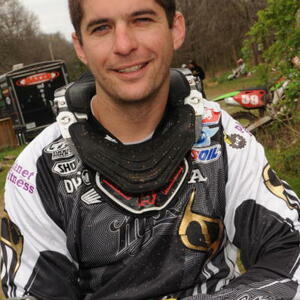 He currently races for Geico Powersports Honda, and 2012 was his 19th season as a pro racer.